Got a Quote from Pack & Send? Get a Comparative Estimate Today! Now you can send your bulky items practically anywhere in the world. Note: we are not affiliated in any way with Pack and Send Systems Pty Ltd, who operate under the “Pack & Send" brand. One of Pack & Send's advertised services is assistance with in-store packing and sending via their network of franchise outlets. Freight Quote Australia doesn't offer this service. If you've received a quote from Pack & Send for the transporting of bulky goods, we invite you to submit the details of your consignment via the above form in order to obtain a comparative quote. Boxes are one of the most versatile and affordable forms of packaging when sending items locally, inter-city or inter-state. 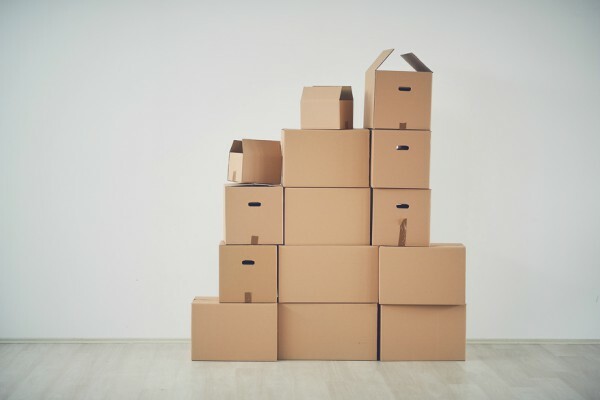 Preparing to pack and send a box or two is a fairly simple task but a little extra care and attention can reduce the risk of your items being damaged and means they can travel safely over short or long distances. It's important to have the right box for the job. Pick the right size: Use smaller boxes for heavier items, like books, and bigger boxes for lighter items, like linen and clothing. That way you can utilise every square centimetre of space, without the box becoming too heavy and unsafe to move manually. Re-using an old box: If you're like most people, you like doing your bit for the planet. Feel free to send and pack items using a pre-loved box. But make sure it is in good condition with no tears, holes or corner damage and that all flaps are intact. Remove all old labels and markings and make sure that the box you choose is strong enough to hold the contents. Remember, empty spaces allow the contents to move around and break. The more open space left once the box has been packed, the higher the likelihood that your items will not reach their destination in one piece. Fill empty spaces: Fill even the smallest voids with cloth or newspaper, or purpose produced fillers like loose fill packaging peanuts or bubble wrap. You can even go with environmentally friendly protective packaging to safely pack, wrap and send your valuables and recycle them after use. Pack in the right order: Pack heavier items at the bottom and lighter items at the top. It seems obvious but when packing a box at the end of a long day, it's easily forgotten. Secure contents: Be sure to tape the boxes well and be careful not to pack too much into the box which will prevent it from closing properly. If a box bursts open whilst in transit, loading or unloading, the risk of damaging the contents is increased and may be lost. Labelling: Always ensure all boxes are labelled securely and clearly. This prevents one or more boxes going astray and makes it easier to identify whether the contents is fragile or heavy. Shipping policies: Check the shipping provider's Dangerous Goods policy. You may need to complete additional paperwork and pack hazardous materials in a specific way to comply with regulations and ensure your goods are transported safely. Multiple boxes: If you have a number of boxes to package and send, the best option is to strap or wrap them to a pallet. This makes it easier to move your boxes between delivery vehicles and depots. Weight limits: Most boxes have weight limits, often printed on the bottom flap. These limits are intended for palletised shipments, so use these limits as a guide but be careful not to pack a box too heavily when it will be handled manually.